As a modern, six-passenger, mid-range member of the enormously successful Cessna Citation range (the world's most-produced business jet family), the Citation Jet 3 is in demand with fractional-ownership companies and charter operators alike. Businessaviation is booming around the world and there is a good reason why: It hasnever been easier to use. In 2006, worldwideshipments of business jets jumped 18 percent to 885 aircraft, according to Washington,D.C.-based General Aviation Manufacturers Association (GAMA). Deliveries of businessturboprops increased 11.5 percent to 407 aircraft. Shipments of new GA aircraftgenerated $18.8 billion of revenues last year, 24 percent more than in 2005. The boom iscontinuing. In the first quarter of 2007, deliveries of business jets climbed 12percent on the same period last year. Turboprop shipments zoomed 30 percent andtotal billings for GA aircraft deliveries grew more than 11 percent. Generaleconomic growth is partly responsible. But in North America and elsewhere thedevelopment over the past 15 years of flexible ways to charter or own businessaircraft has reduced the price of business aviation (in industry-speak, privateaviation) to a level many companies and individuals can afford. Businessaviation has become much more accessible through the development of jet cards,block charters, fractional ownership and negotiation of discounts onwhole-aircraft charters when paying by cash or check rather than credit card. Thesetechniques make blocks of aircraft operating time available to private-aviationusers, said Mike Nichols, vice president of operations, education and economicsfor the National Business Aircraft Association. A fixed-feejet card usuallyrequires a 25-flight-hour minimum purchase and--when offered by companies suchas Bombardier subsidiary Skyjet--either specifies one particular aircraft modelthat provides the seating capacity the buyer requires, or offers general availabilityon several equivalent aircraft models. Some jetcards let buyers trade up or down on the aircraft model for individual flights oreven allow a general upgrade or downgrade of aircraft type if the user?sseating requirement suddenly changes, for an adjustment in the per-houraircraft charge. The effortsof Skyjet and others to develop online booking for private flights have takenthe hassle out of chartering business aircraft. These companies also have made privateaviation reliable by using aircraft operators whose flight programs they haveaudited and approved. Now corporateand individual consumers needn?t fear that the business aircraft they?vechartered won?t turn up, leaving them stranded at small airports. ?We giveyou a 1-800 number to call and we offer guaranteed aircraft availability and no[aircraft] positioning costs. It takes the confusion out of the equation forthe consumer,? said Chris Milligan, managing director of Skyjet. Block-charterpurchases usually make most sense for customers buying up to around 100 hoursof aircraft time a year, said Nichols. Above that amount, fractional ownershiparrangements--similar to timeshares on vacation homes--become economicallyviable and offer resale potential. However,financial modeling can justify a five-year fractional ownership deal on abusiness jet for as little as 50 hours? usage a year, said Milligan. Thatrepresents a one-sixteenth share, the smallest share one can buy on a businessjet. Fractional shares on helicopters can be as little as one-thirty-second ofthe aircraft?s time, since helicopters generally fly much shorter distances anddon?t operate as many hours for any given client, said Nichols. 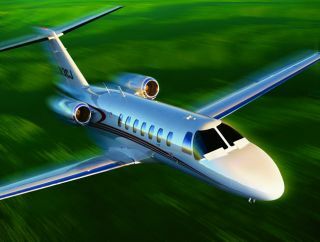 Business-aviationusers fall into three groups: athletes and entertainers, those flying privatelyon business and people who prefer to use private aircraft in their private livesrather than risk airline delays. ?They?rebusy and the one thing they don?t have is time. This is the one thing that canbring time back for them,? said Scott Duffy, founder and CEO of Virgin Charter. A VirginGroup company, Virgin Charter plans this fall to introduce an online whole-aircraftcharter marketplace that is transparent to buyers and sellers alike and offersquality ratings of charter-service providers. ?In an openmarket, price transparency creates competition and that ultimately reducespricing,? said Duffy. ?We?re not trying to reduce it to the price of commercialair travel, but we are trying to create more efficient private aviation andbring costs down.? Businessusers form the fastest-growing community of private-aviation flyers. ?Companiesno longer look at private aviation as luxury, but as productivity,? said Duffy. This may beespecially true for the new breed of very light jets (VLJs). Would-be VLJ air taxi operators such as Florida?s DayJet intend to offer single-seat charters. Their competition will not be airlines,but automobiles, said Nichols. Rather thanhave a technician drive, say, seven hours to install an urgently requiredreplacement part in a factory assembly line, a company may choose to fly thetechnician there by air taxi to deliver the part in under two hours and get itshighly skilled employee back the same day. NBAA hasdeveloped a consumer guidefor business-aircraft charter. The most important lesson for the new buyer tolearn is that, ?One cannot look at price alone,? said Nichols. Before booking, thecustomer should understand the level of customer service and the amount ofinsurance coverage it is getting, as well as the level of pilot training theoperator maintains. Often, booking through intermediaries such as charterbrokers or card providers provides an easy way to obtain the requisiteexpertise.